Seedling tray making machine is an expansion product of paper egg tray machine. It is used to produce seedling trays with waste paper and straw. With the development of organic cultivation, paper seedling tray manufacturing machine wins great popularity in the seedling nursery. For one thing, it can recycle waste paper and straw to reduce environmental pollution. For the other thing, paper seedling trays are easy to use since it is biodegradable. That is to say, there is no need to move the trays out after use. Hence, seed tray making machine has been a major product of Beston Pulp Molding Machinery. Taking reliable quality as our first priority, we have the best team to make all details better. Spontaneously, we have exported our products around the world and customers always give a high appraisal to our seedling tray manufacturing machines. As the organic agriculture rapidly develops, seedling trays are widely employed to save space and improve soil fertility. While pulp seedling trays become more popular due to the favorable price and biodegradable material. Driven by markets, our regular clients have customized seedling tray making machines from us recently. Here is a video of Beston seedling tray machine. Moreover, in line with our consistent operation idea, we provide them with the sophisticated design of pulp molding equipment and reasonable seedling tray manufacturing machine price. There is no doubt that our products are always with broad praise. Here are some samples. Compared with plastic seedling trays, paper seedling trays are biodegradable. Each country is paying much attention to reduce the usage of nondegradable plastic. While the seedling trays are made of about 70% of straws and 30% of the waste paper. It can recycle the straws instead of burning. Obviously, it is good for the environment. 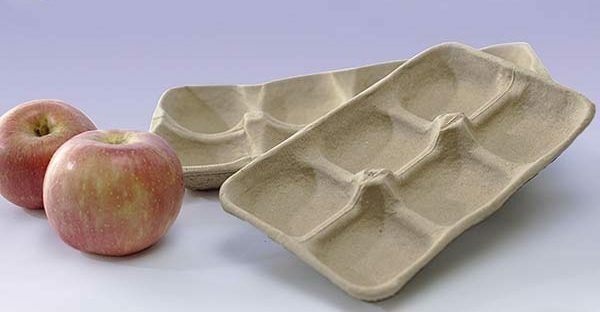 Moreover, there is no need to remove these trays because they are biodegradable. In this way, it can easily save you more time and efforts. Thus, it is wise to purchase a paper seedling manufacturing machine in a long run. First of all, it recycles the waste paper like egg tray making machines, which has rich and cheap raw materials. While the paper seedling trays mainly employ straws, which were burned in the past. So making seedling trays is more cost-effective. And the output is huge. Thus, it is advisable to invest a paper seedling tray making machine. With the development of seedling nursery and environment protection, paper seedling trays will replace plastic trays in the future. It is possible for you to get the support from your government. There are four sections for making seedling trays. The first section is to break the waste paper into paper pulp, that is, pulp making system. Then the processed pulp is formed through seedling tray making machine. After drying and packaging, the products are prepared for sale. Actually, the molds of seedling are simple to design. However, seedling trays are often used to place rice or vegetable seedlings with soil. Considering the heavier objects, better bearing capacity is required. Thus, it is crucial to improving the stiffness of seedling trays in the working process. With the similar working process, we try to make each detail exquisite. Our seedling tray making machine is with high stability and long service life. We also provide on-site and remote detection irregularly and regularly. Beston always gives you the best experience in using. 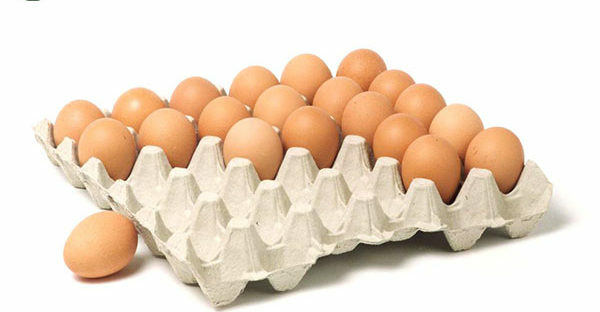 Beston will provide you with suitable egg tray manufacturing business plan at the best price! How to Choose a Suitable Seedling Tray Machine Manufacturer? As mentioned above, we developed seedling tray making machine on the basis of egg tray making machine. In other words, it is an emerging product for egg tray machine manufacturers. In addition, there are many different kinds of seedling trays used in the farming industry, such as 60-slot seedling tray, 80-solt seedling tray. Thus, seed tray manufacturing machine is often custom-built. When you choose a seedling tray machine manufacturer, it is necessary to take following factors into consideration, such as the design of molds, the main technology, the related experience, the stability of pulp molding equipment, and the alternative solution. Beston Machinery has rich experience in manufacturing egg tray making machine. Thanks to our fantastic designers, we have formed a complete production line for apple trays, egg cartons, shoe trays, bottle trays, seedling trays as well as trays for wheel hubs, etc. The capacity of our products is from 1000 pieces to 9000 pieces per hour. There are many choices for customers. In order to improve the stability of our equipment, our technicians keep on learning and researching. Each piece of equipment in our pulp molding production line is under a one-year guarantee period. 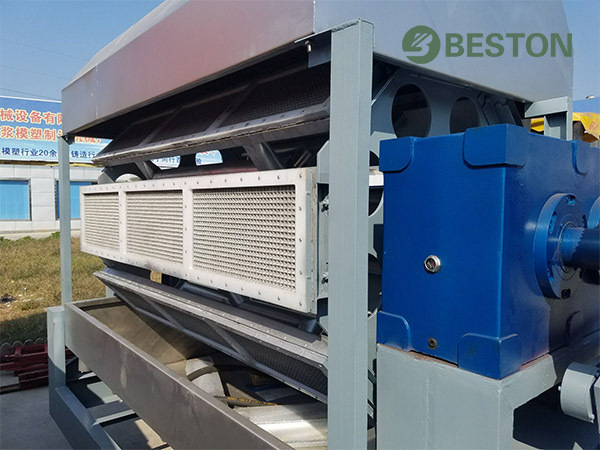 Combining with the comprehensive after-sales service, Beston Company is known as a qualified seed tray making machine manufacturer. The price of seedling tray making machine is mainly decided by the scale, especially the yield of pulp moulding equipment. The larger is the equipment, the higher is the price. While considering the high output quantity, the price is acceptable. On the other hand, the automation degree also matters the paper seedling tray making machine price. Although an automatic production line costs more on equipment, it takes less labor force and occupied area. Meanwhile, the operating efficiency can be greatly improved with the same or even less energy consumption. In the long run, it is cost-efficient as well. Many customers were thinking the seedling trays machine price in India is lower. But most customers are worried about the quality, especially the design of seedling tray machines. Here is a good news. After 20 years of experience, we have developed mature technology to fully utilize the energy, power, space, etc, such as our integrated pulping system. Our seedling tray manufacturing line has been highly recommended for the great cost performance by many clients around the world. And even many Indian customers are glad to purchase a pulp moulding production line from us. 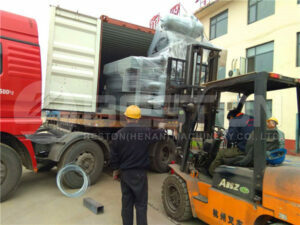 All in all, Beston will provide you with low price and superior quality seedling tray making machines.